Today Dr Sue Black has 32.1k followers and sends dozens of tweets a day. And this lively proactive communication-style formed an integral part of her heroic campaign to save Bletchley Park. “Saving Bletchley Park: How #socialmedia saved the home of the WWII codebreakers” written by Dr Sue Black with Stevyn Colgan is released in hardback this week. It is a personal Odyssey which impressively spans 75 years of British technology. This book takes in the meteoric rise of social media, the opportunities in publishing via crowdsourced sites like Unbound, and most important of all, details the campaign to rescue the most significant location in UK computing history. 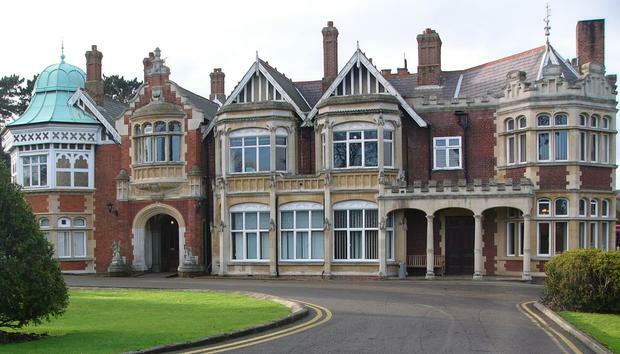 From a top secret codebreaking site during the Second World War, Bletchley Park rapidly fell into disrepair in the decades since, and without Dr Black’s tireless awareness-raising may have been lost all together. As Dr Black explains in the promotional video for the initial Unbound campaign when she first visited Bletchley Park in 2004 she assumed the people who worked there “were probably 50-year old blokes sitting round in tweed jackets smoking pipes and doing the Times crossword” as that was her idea of a codebreaker. Yet she later discovered over 10,000 people worked on the site, more than half of them were women and the overwhelming majority of them were young. It is an incredible tale in every way. And this means it would be very easy to wax lyrical about the historical importance of Bletchley Park or to eulogise about what an incredible job Black did raising public and professional interest in it. But this has already been well covered. Bletchley Park was preserved and Dr Sue Black was given an OBE in the 2016 New Year Honours List for her unflagging efforts. What is worth saying is that Dr Sue Black is a very enthusiastic lady, who loves emoticons and with her short pinky-orange hair is no dry establishment academic. Her book and her campaign are a triumph of ceaseless energy, passion and persistence and it is impossible not to be impressed. This book, of course, won’t be for everyone. It includes tweets, photographs, self-deprecating wit and offers an engaging, personal story about a real-life crusade. But if you do fancy hearing Dr Sue Black’s side of things – told in her own words – it is definitely worth a read. “Saving Bletchley Park: How #socialmedia saved the home of the WWII codebreakers” is available in hardback via Amazon from 10th March. It can also be purchased in eBook format direct from Unbound.